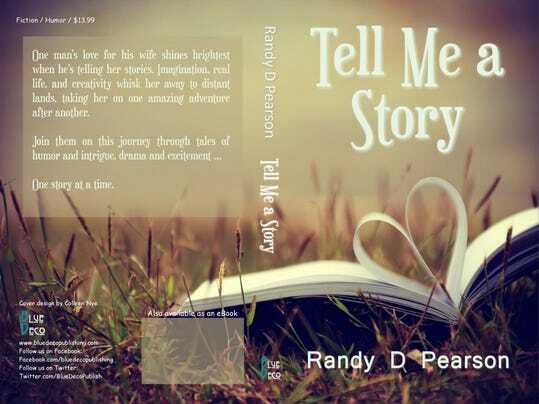 “Tell Me a Story” by Olivet author Randy D. Pearson (Blue Deco, $13.99) is a highly entertaining collection of wonderfully quirky short stories. The anthology is quite addictive, threaded together by a frequent request from Pearson’s wife, Wendy to hear a new tale. The 37 stories vary in length, but most are just a few pages long. They’re great for anyone with a short attention span or those who have tendency to doze off quickly. It’s best not to read the all in one gulp – but to savor them; the first eight stories had me frequently giggling or sitting back admiring the author’s ability to create unusual plot twists. I thought of other captivating story authors that I’ve enjoyed over the years with a similar writing style – and remembered that it’s been a few decades since I read the works of Roald Dahl, O. Henry or Frederic Brown. Pearson has a real knack for making characters come alive – and putting them in strange but believable situations. The author frequently bases his imaginative stories on events in his life, with many embellishments added to make them enjoyable. His memorable Halloween story, “Don’t Mess with Tradition” examines the rather extreme challenges faced when one inadvertently runs out of candy. There are holiday stories and a few coarse tales as well as an apocalyptic scene with a deadly struggle for survival. Two hilarious short stories dealing with an odd cooking experience are quite explosive. Strange job occurrences also are described, including one where a single wrong word makes a real difference and another where special activities have unexpected results. “Loin Cloths and Bolo Knives” isn’t really fiction – it’s a retelling of bizarre, unnerving incidents that happened to Pearson’s father in the Philippine Islands during World War Two. This well-designed 284-page paperback also includes 3 “Psychic Phil” stories, offering insights into the unpredictable life of an individual with distinctive talents. Pearson is a member of the Writers of the Ledges writing group based in Grand Ledge; his creative work has appeared in various anthologies and magazines. His first book, “Driving Crazy” which follows an adventurous journey from Lansing to Weedpatch, California was well-received locally and nationally. Ray Walsh, owner of East Lansing’s Curious Book Shop, has reviewed Michigan books and crime novels regularly since 1987.